This beautiful decorative Fair Trade Christmas tree is handcrafted by artisans in Nepal, and finished with a white wool felt. 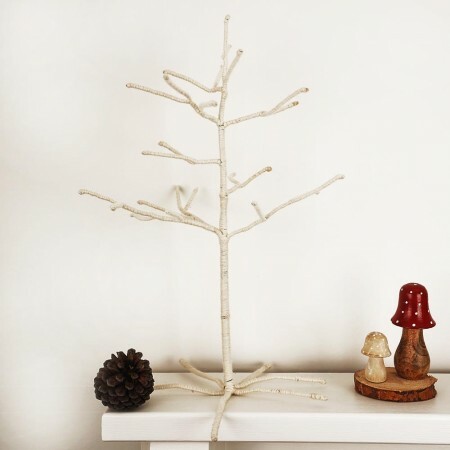 The ideal size for a coffee table, small spaces, or a window display at home or in the office, this alternative Christmas tree won’t die or lose its pins! This tree looks great combined with our Fair Trade Christmas decorations, and a sustainable option that can be brought out for different celebrations throughout the year.